Frozen shoulder is a common cause of shoulder pain, however, it is often misdiagnosed as a rotator cuff condition. Frozen shoulder is different from rotator cuff tendonitis or a rotator cuff tear, and while both can cause significant pain, a frozen shoulder leads to a stiff joint. Patients with a frozen shoulder have restricted mobility of the shoulder joint, and often complain of significant pain, even with simple activities. The last statement is there because most often people have a gradual onset of discomfort. Sometimes patients will remember an event that occurred the first time they noticed symptoms, but this is typically a relatively mild activity. In actuality, these activities are probably not the cause of the frozen shoulder, but rather the first activity that occurred once the patient started to develop stiffness of the joint. There are several conditions that seem to be risk-factors for patients to develop a frozen shoulder. These conditions are seen much more commonly in patients who are diagnosed with a frozen shoulder, but they are not always present in patients with a frozen shoulder. Endocrine Abnormalities: The most common condition seen in patients who spontaneously develop a frozen shoulder are endocrine abnormalities. In fact, some patients with a frozen shoulder have no knowledge of an underlying endocrine abnormality, and it's only after being diagnosed with a frozen shoulder that they discover an underlying condition. The most common abnormalities are diabetes and thyroid conditions (both hyperthyroidism and hypothyroidism are seen). Patients who develop a spontaneous frozen shoulder discuss with their primary care physician if further screening is needed for these endocrine abnormalities. Immobilization: The second most common cause of a frozen shoulder is due to immobilization or trauma. 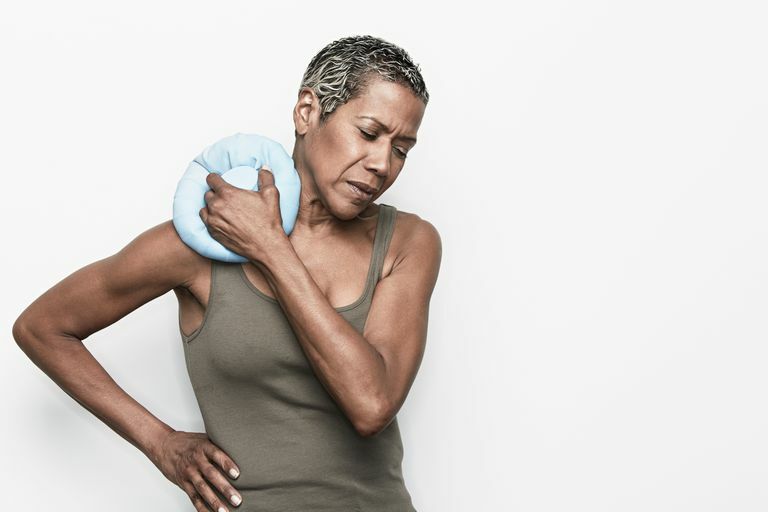 Often called a "secondary" frozen shoulder (as opposed to a primary frozen shoulder) these causes are the result of a traumatic injury, surgery, or other reason for which a shoulder was immobilized. Some patients with shoulder fractures may develop this condition. Another common cause of secondary frozen shoulder is after rotator cuff surgery. Neurologic Disorders: Neurologic disorders, such as Parkinson's Disease, may be present in patients who have the development of a spontaneous frozen shoulder. Much less common than patients with endocrine abnormalities, neurologic conditions can be a risk factor for the development of this condition. Cardiac Disease: Cardiac abnormalities, including coronary artery disease and other heart conditions, can lead to the development of a frozen shoulder. While these conditions may make an individual more susceptible to the development of a frozen shoulder, the most common cause a frozen shoulder is "idiopathic," also known as a fancy way to say, "we don't know why." Frozen shoulder can be an extremely frustrating condition. Often seemingly coming from nowhere, the symptoms of frozen shoulder can take years to completely resolve. The stages of frozen shoulder are slow to progress. The good news is that pain tends to improve within a few months, the challenge is typically the recovery of mobility that can take years. Usually, with physical therapy and other treatments, patients can fully recover from this condition. Pain may take months to resolve, the motion may never completely return, but function almost always improves to normal. The other good news is that surgery is seldom needed to improve from this condition.